The Sixers have already lost one assistant, Billy Lange (left). 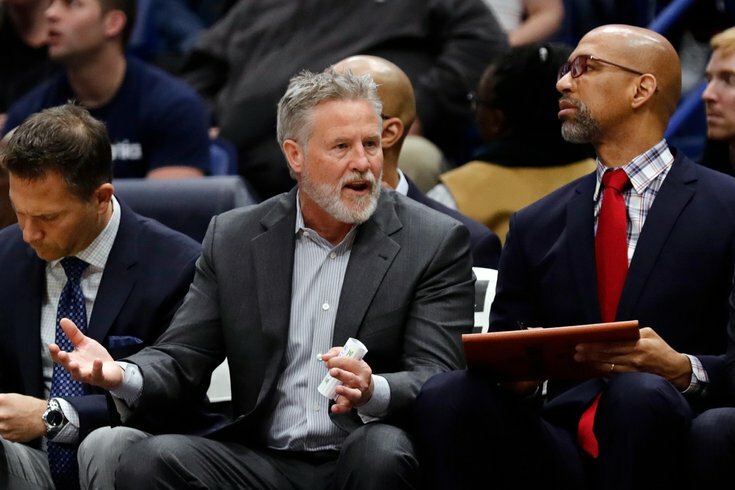 And soon, Brett Brown could lose Monty Williams (right) as well. The Lakers finally did the inevitable and fired — I’m sorry, mutually parted ways with — Luke Walton on Friday, just days after former team president Magic Johnson vanished into thin air. After a weird first year of having LeBron James, the Lakers lack a president and a head coach. Enter the Sixers, who just last month lost top assistant Billy Lange to the St. Joe’s men’s basketball coach opening. They’ve already promoted Lindsey Harding to an assistant coach role and bumped Jim O’Brien up to the front of the bench after Lange’s departure. But now it seems the team could be in danger of losing another assistant coach. Sixers assistant Monty Williams joins Ty Lue as the central candidates in the Lakers search, league sources tell ESPN. Process is expected to center on them. Sam Amick of The Athletic said Luke Walton would be the “clear frontrunner” for the Kings opening if he became available, which he just did. That might bump Williams down a peg, and maybe keep him safe from Sacramento. Elsewhere, as Wojnarowski noted up top there, former LeBron James wrangler and NBA champion Ty Lue is expected to be in the running for the Lakers job. If we’re being honest, the Lakers are LeBron James’ team for the time being. Without a president, and with Rob Pelinka being Rob Pelinka, it seems obvious that James will be extremely involved in filling the open positions with people he believes he can work with. James has shown he can work with Lue. James has not played for Williams during his NBA career. With all due respect to Williams, who is clearly a rising name in the NBA coaching ranks, I just don’t see the Lakers choosing him over Lue while they try to squeeze whatever they can out of James’ remaining three years in Los Angeles. But it’s clear the Sixers have someone the league values in Williams, which is always a good sign.